Note: This post was updated and corrected on January 4, 2009. Back in the early '90s I got it into my head that I would like to become a record mogul and release my own series of African discs. So on the occasion of my second visit to Nigeria in December of 1995 it seemed like a good idea to visit some record companies there to propose licensing some music to release in the U.S. In Lagos I met with A.J. Ejuichie of Premier Music (successor to Polygram Nigeria) and Femi Dairo of Ivory Music (successor to EMI Nigeria). They are pictured below, left and right. Executives at Leader Records and Ibukun Orisun Iye were out of town, although I purchased a lot of great music at their retail stores. Ditto for Rogers All Stars in Onitsha. Truth be told, I have no business sense so the record company idea was basically a pipe dream. I suspect Mr. Dairo & Mr. Ejuichie realized I had no idea what I was doing although they were exceedingly friendly and gracious. Mr. Ejuichie informed me that the rights to the entire Polygram Nigeria catalog had been licensed to a company called Mossiac Music in New York City. Mossiac issued upwards of 30 CDs in the late '90s; not only classic highlife from the old Polygram catalog but recordings by the Oriental Brothers, Igbo traditional music, even a four-CD Best of Osadebe set! Unfortunately Mossiac went under without a trace. It seems to have had zero distribution outside of the Nigerian community, not even through Sterns! I suspect that whoever was behind the mysterious "Mossiac Music" lost serious coin. Well, better him than me! I myself have been able to obtain only a few Mossiac releases. 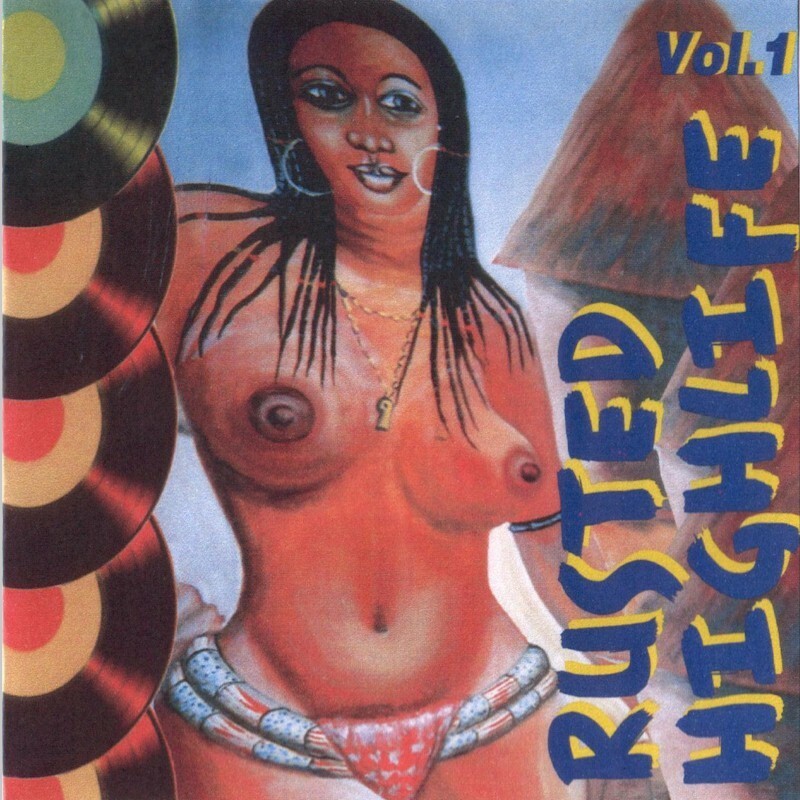 One of these is Rusted Highlife Vol. 1 (Mossiac Music MMCD 1812), which boldly departs from the usual fare of recent highlife reissues to showcase some obscure but wonderful tracks from the late '60s and early '70s, when the old danceband paradigm was yielding to the harder, stripped-down guitar highlife style. I haven't had time to sit down with Priscilla and do translations of the song lyrics. I'll try to do so and update this post later. The late Chief Stephen Osita Osadebe was the last great exemplar of the danceband highlife sound before his death on May 11, 2007. Here are two tracks by him that have never appeared on any of his LPs to my knowledge. Of course, you're familiar with Dan Satch & his Atomic 8 Dance Band of Aba from this post. Dan Satch Joseph (not Dan Satch Opara of the Oriental Brothers! ), a former sideman in Bobby Benson's band, formed the Atomic 8 Dance Band in 1962. Although the Atomics were known to dabble in Afrobeat, "Baby Pay My Money" and "Take Your Notice" show them in classic danceband highlife mode. The Eastern Ministers Guitar Band, like the Oriental Brothers and their various offshoots, hailed from the Owerri area. The Eastern Ministers had several huge hits, including "Nwa Ka Ego" and "Uwa Tutu Uwa Fufu [The World is Sweet and Painful]." The melody and guitar work of "Ihe-Chi-Nyerem," the Orientals' first record, were obviously inspired by the spare, rough-and-ready sound of "Nwa Ka Ego," recorded a couple of years earlier. The two groups' vocal styles are quite different, however. B.E. Batta and Emmanuel Vita of the Eastern Stars Dance Band were from Nembe in Rivers State. They had played with Rex Lawson's band before striking out on their own. It is quite possible that Warrior of the Oriental Brothers, in crafting his famous "shouting" singing style, modeled himself on Vita, who had a similarly powerful voice. As I knew nothing about the next two artists, Demmy Bassey and Burstic Kingsley Bassey, I asked Uchenna of With Comb & Razor, who told me that Kingsley was a well-known performer at the Luna Night Club in Calabar during the 1970s. His popularity never extended much beyond the Cross River area, though. Uchenna could tell me nothing about Demmy Bassey. "Bassey," by the way, is a very common surname in the Cross River-Akwa Ibom area. I thought "Ima Abasi" sounded familiar, so I got out my copy of The Hit Sound of the Ramblers Dance Band (Afrodisia WAPS 25) and put it on the turntable. 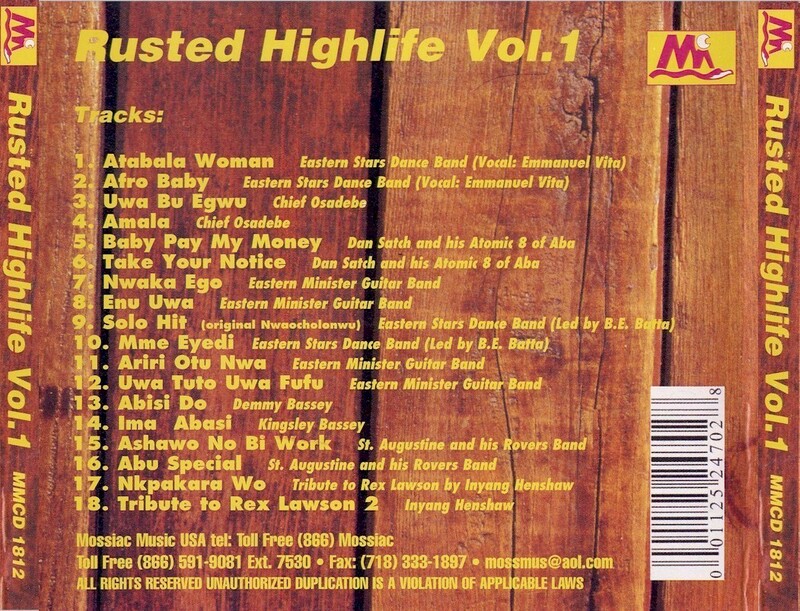 Well well, the exact same recording shows up on side two of this hit album by the venerable Ghanaian highlife orchestra! There is no mention of Kingsley Bassey in the liner notes, although a "Len Bassey" is given songwriting credit. The lyrics, according to the notes, describe a fellow who pleads with his girlfriend, ". . . all you do is kick me about and boss me around. . . Call me no names. Just work your charms on me, darling, for I love you." 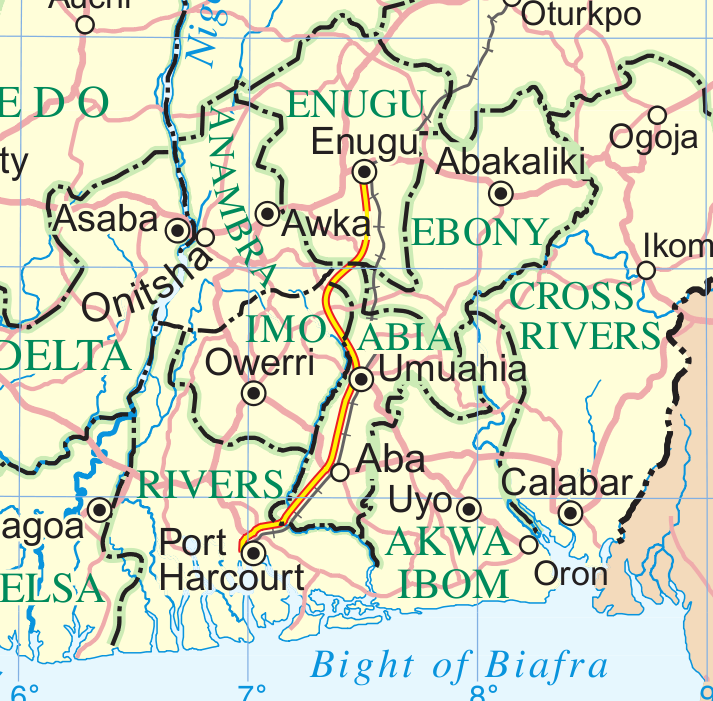 The map of eastern Nigeria below can be used to locate some of the areas mentioned in this post (click to enlarge).